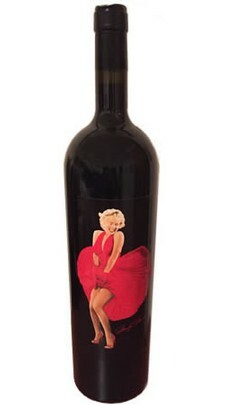 Marilyn Monroe Red 2015 is a classically styled blend. This wine has a AVA of Mendocino and it is a red wine blend of 1/3 Syrah, 1/3 Petite Syrah, and 1/3 Carignane which thrives in warm climates and until the 1970s was the most widely-planted red variety in California. The wine is deep in both color and flavor, beautifully textured, with a long and memorable finish.